Paul Tait believes his table-topping Everton Under-18s are getting better with each game after they hit seven goals past Newcastle United at USM Finch Farm on Saturday. Ellis Simms scored four and fellow forward Korede Adedoyin notched a hat-trick as the young Blues extended their unbeaten start to the season to nine games to stay top of U18 Premier League North. 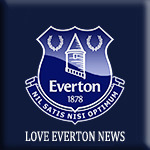 “We’re really pleased, it was a good performance from start to finish,” said Tait to evertonfc.com. “From the first whistle, we was really at it and showed what we are about in terms of keeping possession and our finishing power. “We feel that we have improved game by game and we are also getting better with each game we play. After a frustrating 3-3 draw in their last outing against West Brom, Tait’s side started this game with real intent and opened, scoring after just three minutes. Collecting the ball on the left, Adedoyin cut inside before curling a superb left-footed effort into the far corner of the net. Everton continued to dominate and went close to adding a second when Kieran Phillips collected Tom Warren’s pull-back, but the Blues captain could only fire straight at Otto Huuhatenan in the Newcastle goal. But on 24 minutes the hosts doubled their advantage with Simms collecting his first of the afternoon. Bobby Carroll’s attempted effort was deflected into the path of the Blues number 9 who quickly turned inside the box before drilling the ball home. But Newcastle, managed by former Blues FA Cup-winning captain Dave Watson, reduced the arrears five minutes later. Deese Kasinga‘s effort came back off the post with Thomas Cole on hand to turn home the rebound. Nine minutes before the interval and the young Blues restored their two-goal cushion when Simms shrugged of the challenge of Max Allen before finishing into the roof of the net via the underside of the crossbar. A minute into the second half and Adedoyin had his second with an identical finish to his first. Collecting Carroll’s pass, the winger shifted the ball onto his left foot before curling beyond the reach of Huuhtanen and into the far corner of the net. Simms then completed his hat-trick when the Newcastle defence failed to clear Pawel Zuk’s low cross from the right, before adding his fourth from close range after substitute Rhys Hughes danced his way past the United backline. Not to be out done, teammate Adedoyin then completed his hat-trick with nine minutes remaining. Pouncing on a loose ball the winger took a couple of touches before firing an unstoppable effort past a helpless Huuhatanen from the edge of the box. Tait was also full of praise for four-goal Simms and spoke about the progress he has made in recent months. He said: “Ellis has been very good so far this season. Once again it’s improvement. He’s improved so much since last season. Next up for the young Blues is Derby County at USM Finch Farm on Saturday. Everton: Tyrer, Zuk, Warren, Anderson, Astley, Iversen, Adedoyin, Carroll, Simms (Dobnin), Phillips (Thompson), Hunt, (Hughes). Substitutes not used: McIntyre, Quirk. Newcastle: Huuhtanen, Ebanks, Rounsfell, Allan, Gamblin, McEntee, Reed, Young, Cole, White, Kasinga. Substitutes: Gilchrist, Brown, De Bolle, Anderson, Brannen.